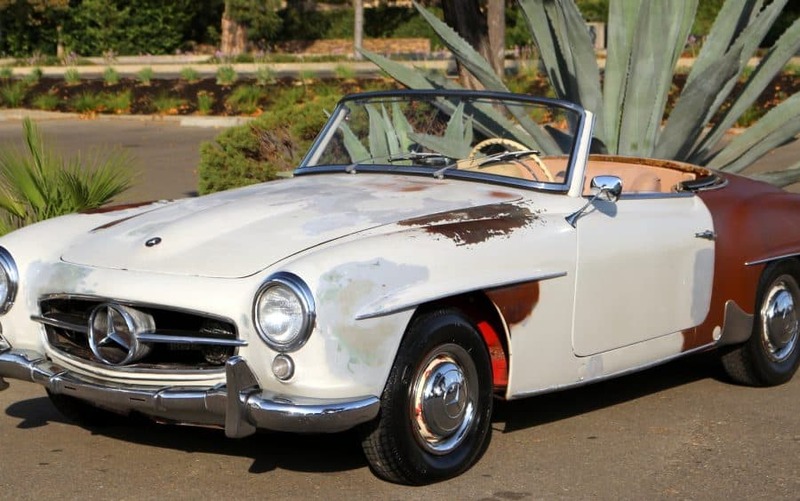 1957 Mercedes 190sl stored for 3 decades in a California garage, excellent original metal and factory body gaps. Original factory color is Fire Engine Red. Engine runs well with strong oil pressure. Grille and headlights fit superb; original fenders; excellent body gaps all around. Floors are 100% original with only a few areas that need attention. This is an excellent car for either driver-level or concours restoration. This car was stored many years: All mechanical systems need to be checked prior to driving. We go to extents to document our cars in pictures and provide the most transparent listings on Ebay. Everything included is pictured. Please study the pictures carefully rather than requesting descriptions. Please complete any inspections or ask any questions prior to bidding or committing to buy the car. Thanks for the interest!